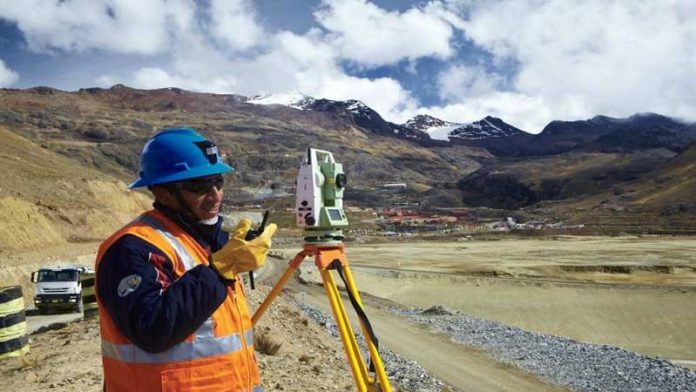 GOLD Fields unveiled plans for the R11.6bn development of Salares Norte, a gold mining prospect in Chile that could produce as much as 450,000 equivalent gold ounces a year. The project represents the first greenfields project in more than a decade, said BusinessLive which cited analysts saying there were insufficient details on how the project would be financed. Gold Fields CEO, Nick Holland, said finance wasn’t a pressing concern, especially as the Salares Norte project wasn’t due to receive its environmental permit until 2020 around the same time as the board would make an investment decision. “This shouldn’t be a high-risk project to finance,” Holland is quoted as having said. Among the options was to project finance the mine and dual-stream processing plant to extract gold and silver, with interest from Chilean financial institutions to provide the capital, said BusinessLive. “We would take a very hard look at this project before we would commit to doing it alone,” Holland said. The payback period on the project was projected at 2.2 years, with upfront spending of $80m on detailed engineering work, site preparation and the removal of 50 million tons of waste rock covering the deposit, said BusinessLive. The balance of the $734m would be spent in roughly two equal tranches over a two-year period to build the project, the publication said.